Anxiety disorders are characterized by excessive nervousness, fear, apprehension, and worry that is out of proportion to the actual danger. OCD, PTSD, panic disorder and phobias are considered anxiety disorders. Symptoms include nervousness, tension, panic, a sense of doom, increased heart rate, sweating, fatigue, and/or trouble concentrating. 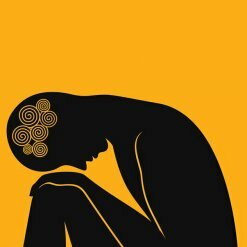 Almost one in three adults in the US experience an anxiety disorder at some time in their lives.